LAHORE: Punjab Chief Minister Shahbaz Sharif on Wednesday appealed to a local court hearing his R10 billion defamation suit against Pakistan Tehreek-i-Insaf (PTI) chief Imran Khan to reach a decision on a priority basis. Shehbaz sued the PTI chairman for Rs10 billion damages for accusing him of offering a bribe to stay silent over the Panama Papers allegations against the Sharif family. 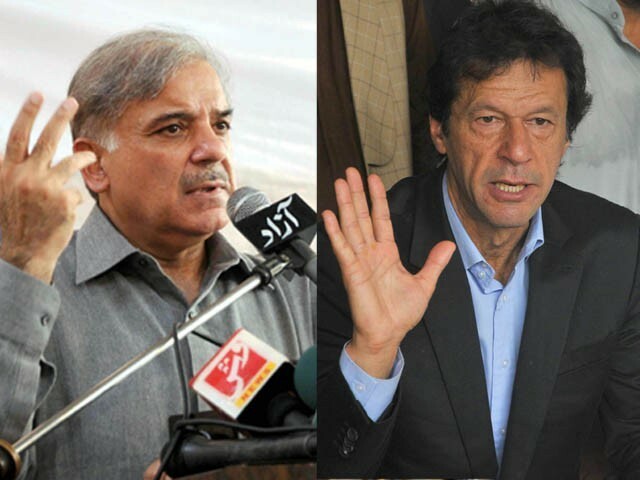 Shahbaz through his lawyer filed an application in the court, submitting that PTI chief Imran Khan was using delaying tactics to prolong the matter. As per the relevant law, the court is bound to decide the case within 90 days, he argued. Sharif’s lawyer said that considering the seriousness of defamatory allegations and consistency with which he levelled allegations, his client is entitled to a claim of compensation. With the Panama Papers revelations about the first family’s London properties having triggered a political storm in Pakistan, the PTI chairman went on to claim that the Punjab CM had offered him Rs10 billion through one of his close associates to stay silent over the Panamagate case.